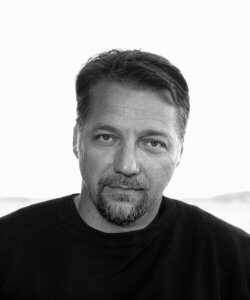 The Museum of Contemporary Canadian Art (MOCCA) is pleased to announce Toronto-based photographer Edward Burtynsky as the recipient of the $20,000 MOCCA Award in Contemporary Art 2011. The MOCCA Award will be presented to Mr. Burtynsky at the Museum of Contemporary Canadian Art at a gala event on April 14, 2011. Each guest at the event will receive a limited edition work of art by Burtynsky created especially to mark the event. In naming him as the third recipient of the Award, MOCCA cited the national and international acclaim Mr. Burtynsky has received for extraordinarily unique bodies of work produced over the course of nearly three decades. Combining knowledge of photography, its history and techniques, with a sharp perceptual rigour, Burtynsky creates stunning images of the sites of some of the heaviest and most essential industrial activities in Canada and around the world. Often cinematic in scale and always spectacular in pattern and detail, his pictures are as highly regarded for their formal and aesthetic qualities as they are for being powerful, and even disturbing documents of the impact that these activities have upon the landscape, the ecology, upon our very selves and our surroundings. MOCCA also noted that the challenging and timely issues raised by Ed Burtynsky through his work, resonate within the context of our stated mandate to present art pertinent and relevant to our times. Ed Burtynsky is one of the most globally visible Canadian artists working today. In recent years he has exhibited in some of the world's most prestigious venues, including the National Gallery of Canada, the Museum of Modern Art, the Guggenheim Museum and the Bibliothèque nationale in Paris, among many others. His most recent museum exhibition, Oil, is a five-year international tour organized by the Corcoran Gallery of Art in Washington, D.C. His photographs are also included in major collections worldwide, including the Museum of Contemporary Canadian Art. Ed Burtynsky's images have been featured in numerous periodicals and publications, such as Flash Art, Art Forum, The Smithsonian, National Geographic, Saturday Night and The New York Times. "Ed Burtynsky's images provide timely insights into human behavior. They raise questions and issues that we avoid at our peril. In addition to his work, Ed has also made enormous contributions to his culture and to his community." "On behalf of BMO, I want to offer my congratulations to Ed Burtynsky – one of today's great chroniclers of our planet. His spectacular photography helps teach us about the sometimes-troubled relationship between man and nature; as he puts it, his images are meant as metaphors to the dilemma of our modern existence. Mr. Burtynsky is indeed a deserving recipient of this prestigious honour." "I've always believed in doing things that build strong cultural communities, and never bought into the idea that one has to leave Canada in order to build an international career. This award stands as a confirmation of those beliefs." • The biennial, $20,000 award was established by MOCCA in 2007 to honour a Canadian active in the field of visual arts for innovation, accomplishment or contribution over time, or for a specific project that has national or international significance. • Michael Snow received the MOCCA Award 2007, and Matthew Teitelbaum, Michael and Sonja Koerner Director, and CEO of the Art Gallery of Ontario received the MOCCA Award in 2009. • BMO Financial Group has been Sponsor of the Award since its inception. • MOCCA has launched a new website, www.moccaaward.ca, for this initiative. Features include in-depth information about current and past winners, and the ability to purchase tickets online. The Museum of Contemporary Canadian Art (MOCCA) was founded from the former Art Gallery of North York in 1999, with the mandate to exhibit, research, collect, and promote innovative art by Canadian and non-Canadian artists whose works engage and reflect the relevant stories of our times. In 2005, MOCCA relocated to the West Queen West Art + Design District in downtown Toronto, in the heart of one of North America's most dynamic arts communities. Our facility is modest in scale, impressive in design, and functions effectively as a nucleus of energies for cultural production and exchange. Since 2006, MOCCA draws 40,000 visitors annually. All programs and activities of the Museum of Contemporary Canadian Art are supported by Toronto Culture, the Ontario Arts Council, the Canada Council for the Arts, BMO Financial Group, individual memberships and private donations. To view the photo associated with this press release, please visit the following link: http://www.marketwire.com/library/20101018-burtynsky800.jpg. To view the video associated with this press release, please visit the following link: http://www.youtube.com/watch?v=qgRhYB4dKe8. Edward Burtynsky, Toronto-based photographer, the recipient of the $20,000 MOCCA Award in Contemporary Art 2011. David Liss, Artistic Director and Curator, MOCCA, on the selection of Edward Burtynsky as the recipient of the MOCCA Award 2011.